Heroin is a highly addictive drug derived from morphine, which is harvested from the opium poppy. It interferes with the body’s dopamine circuit, affecting a person’s perception of pain and pleasure. It can be injected into a vein or muscle, smoked in a pipe, or snorted in powder form. Heroin is a highly seductive mistress and a powerful opiate. You try it, you want more of it. That's just how it works. It’s a rush of all the feel-good chemicals at once and something that screams YES! You try it, you want more of it. That’s just how it works. Upon injection, the brain is washed in a flood of excess dopamine, which overwhelms the receptors in the brain and damages them in the process. This excess abuse on the body’s endocrine system is traumatic and when the supply of excess dopamine runs out, the whole body goes into shock. Led by persistent and intense cravings, these withdrawal symptoms include shakiness, muscle and bone pain, cold flashes, insomnia, even diarrhea and vomiting. Withdrawls might be tough, but it's far better than living or dying with this addiction. The body becomes instantly dependent on higher and higher quantities of heroin to achieve the same high. After a while the high becomes a simple base need for more in order to avoid the debilitating sickness and physical trauma of quitting cold turkey. This process of detoxification often requires medical attention. The body instantly becomes dependent on higher and higher quantities. If someone you know is struggling with a heroin addiction, it’s important to get help with sobriety before the dependency gets worse. Professional rehabilitation treatment is recommended and likely necessary to achieve recovery. The first step in heroin treatment is the detoxification process, which involves clearing the drug from the body. During natural detox, the patient stops all heroin use completely and effectively quits “cold turkey.” Natural detox doesn’t have a high success record because the strong withdrawal symptoms are often too difficult for patients to overcome without medical treatment and support. Natural detox doesn't have a high success record becuase of Heroin's strong withdrawl symptoms. Medical detox is the most common form of heroin treatment. During medical detox, patients are administered dosages of a synthetic opiate, usually Methadone, to wean them off of the heroin dependency. It helps to weather the withdrawal sickness and heal the body slowly. The intensity of withdrawal effects vary depending on how long a patient has been using and what type of heroin they were dosing. Strong, pure forms of heroin, like China White, will lead to a more strenuous and challenging detox. Years of abuse will have certainly taken a toll on the body and will require more patience and care in the healing process. The real challenge comes after the physical detox when the psychological cravings are rationalizations kick in. When withdrawal symptoms are severe, there is always the danger of a relapse. That’s why most drug rehab clinics are long term stays. The real challenge comes after the physical detox when the psychological cravings and rationalizations kick in, trying to sway you back into the old habits and lifestyle. This is when a true circle of support is vital. Seek treatment and break free from Heroin forever. Heal the damage with new practices, habbits and relationships. Look out for others struggling with and help them get sober. One of the most difficult parts of the struggle with heroin addiction is the feeling of helplessness before its powerful call. But remember that this is purely a chemical reaction that your body is facing. The real battle is in your mind and spirit. Stay focused on what matters most in your life and use it to get you across the finish line. If you or someone you love has recently made it through a heroin detox, give yourself some congratulations. Seriously, it requires bravery and focus. You should be proud. That pride and satisfaction, even if you still feel like you got run over by seven Mac trucks and rolled along the highway asphalt, will carry you through the next phase of recovery. The true test of a recovering heroin addict is the months and years following sobriety. The true test of a recovering heroin addict is the months and years following sobriety, when you’ll be tempted and tested repeatedly. The body may not go into convulsions anymore but the voice in your head and the thirst for the high will always beckon you. Even strong and dedicated patients relapse and the reason is often that they isolated themselves from a supportive network. When you’re alone in the fight, it’s easier to lose or admit defeat. When there are others around you, rooting for you and counting on you, it’s a whole different battle. Your heroin recovery program should be a residential stay in a facility for 3-6 months for the best success results. If someone close to you is weathering the process of addiction recovery, they’re counting on you to support and encourage them in the fight. Plan social functions and outings that don’t involve drugs or alcohol. Confide regularly in someone you trust, like a psychiatrist, priest, or loved one. Commit to your health with a balanced diet and exercise program. Volunteer, speak, and serve as a role model for other recovering addicts and youth so you guide others away from addiction. 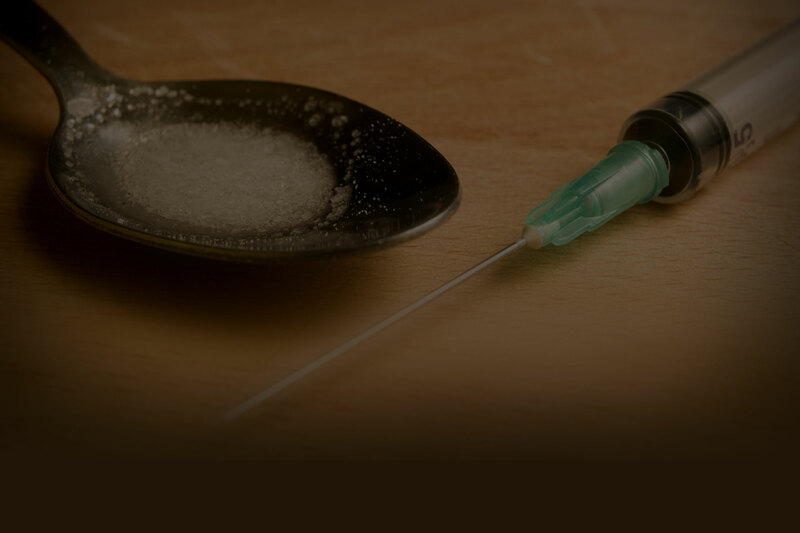 If you or someone you know is struggling with a heroin addiction, find a recovery facility that can help with a professional treatment and recovery process. Don’t take chances. Your health, relationships, and wellbeing are too important.